Each week (Sundays at 8), a recording of an old-fashioned brass processional announces the beginning of Tom Mays’ pub quiz. 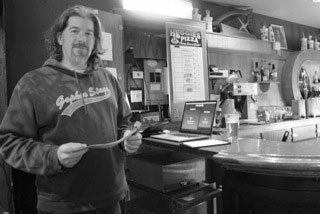 The fanfare is an often futile attempt to quiet the bubbling chatter at the Dubliner bar at the corner of University Avenue and Vandalia Street. It’s usually full of live-music fans who have come for the Sunday show. But then the trivia audience settles in… Read the full article at parkbugle.org.